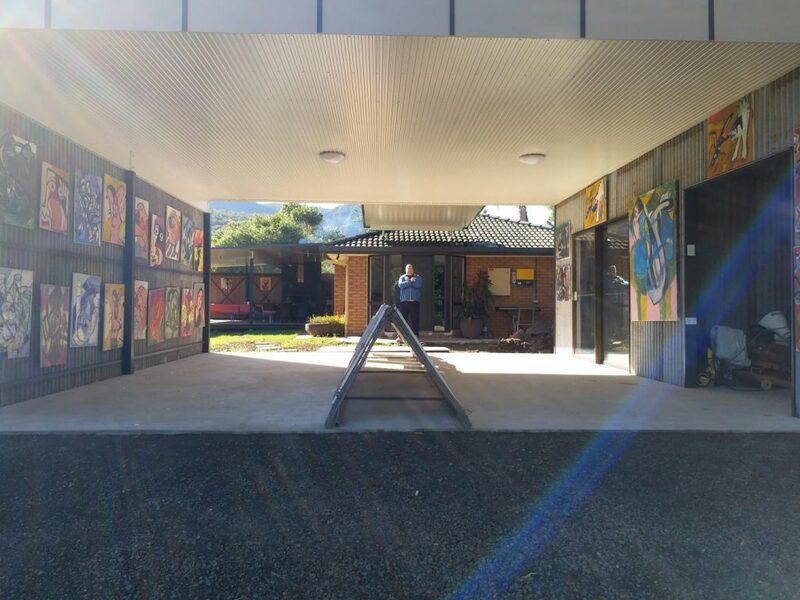 With much pride, Wongari played host to an art exhibition by Chris Hayes on Sunday the 8th of July. It was a quite a successful day in many ways, not the least because it is Chris' first solo exhibition. 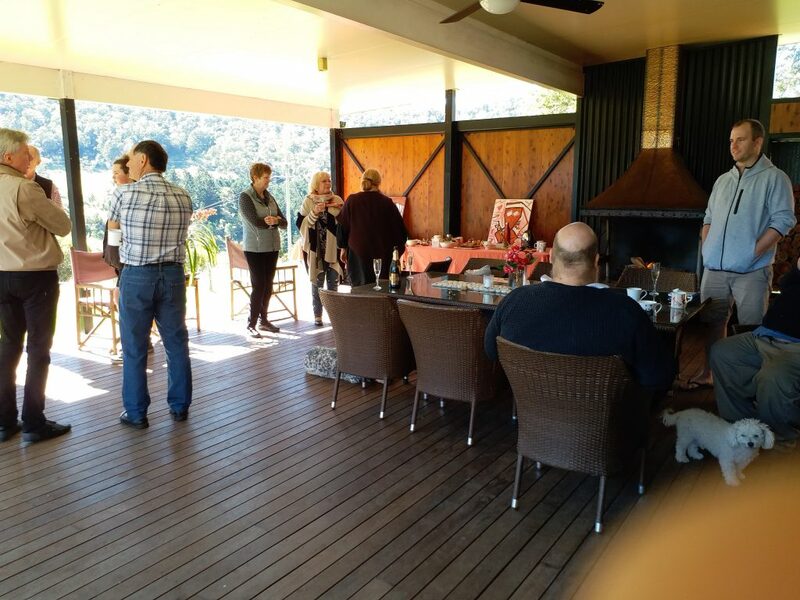 'Art in the Wilderness' did two things It show-cased an artist with much promise and talent and also demonstrated that our 'flash' art gallery could be another way of getting art out there. Chris, when recovering from an accident that left him with frontal lobe brain injury, taught himself to be an artist and a musician. Chris regularly performs on his sax with his Big Band, Musical Chairs. At the exhibition Chris played the piano for his lucky audience. Chris' art is inspired by Pablo Picasso. His works do the great master justice in their uninhibited and colourful splash of abstract shapes and thoughts. Chris' work is very joyful but he insists that he has a message and it's for the viewer to know. The freedom Chris works in is not his alone. Chris hopes to continue to develop his skills as an artist and would like all to know that his recovery is due, in part, to the opportunities that he had available to him to find his way in the world. Art and music have been at the cornerstone of his recovery as much as his support network and, most especially, his family. Chris would like, above all, that the world should be a more inclusive place where everyone has a chance to realise their full potential. Chris would happily tell you that he is a case in point of someone who trys to give back as much, if not more, than what he started with. 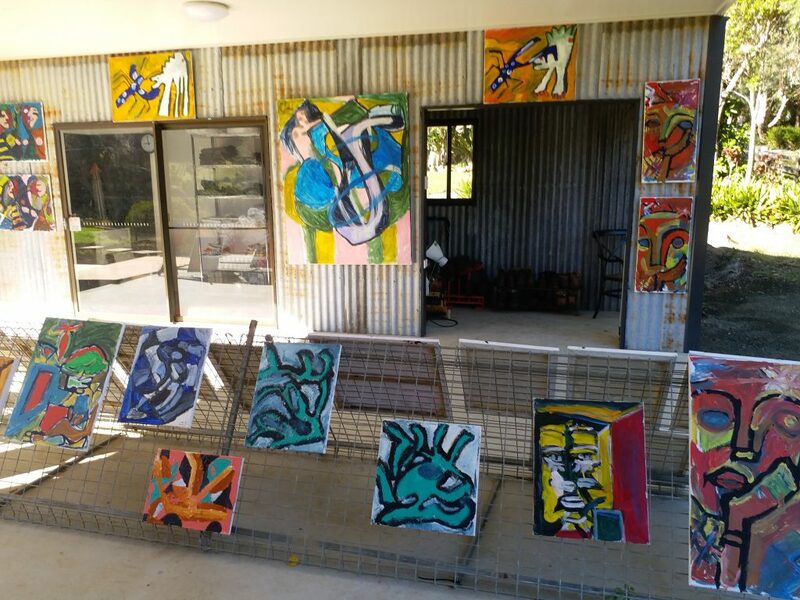 So 'Art in the Wilderness' at Wongari is happy to share Chris' dream of a better world. Art will help realise this possibility and also be an expression of its triumph. Chris can hardly wait. From the proceeds of this exhibition he has already bought his next lot of oils. 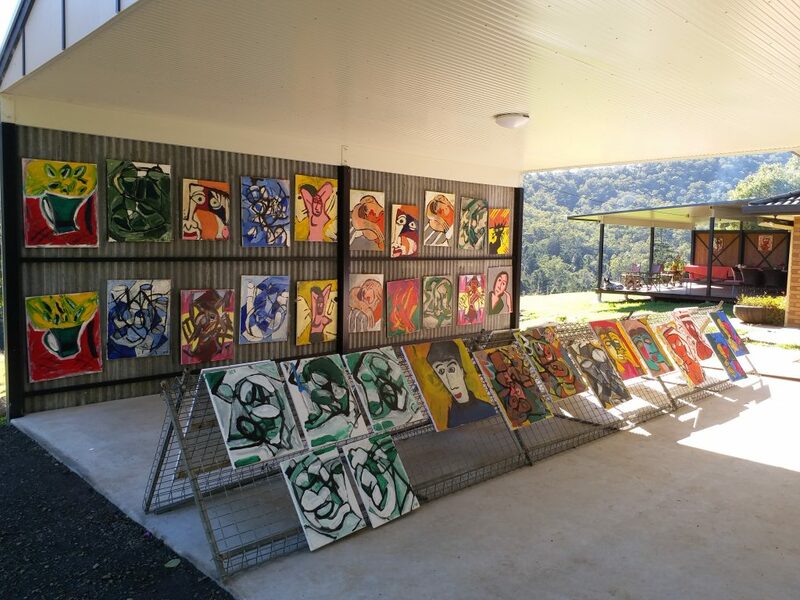 You can find more about Chris and his art by clicking on this link.